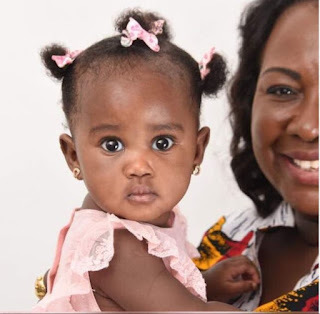 Popular television ace presenter, Gifty Anti, has revealed in an interview on GhOne that she had doubts about whether she could ever get pregnant when she initially got married. According to her, marrying at such a later age made her unexpectant of a baby, adding that she even discussed the matter with her husband to make sure if he was okay with it. She also indicated that she is one of the most privileged women because she was celebrated when she didn’t have a biological child —because has always been a mother to other people’s children. Speaking about the road to motherhood, she said, she intended adopting a child because she had given up on herself. She revealed that “my husband and I had a long conversation about the possibility of pregnancy before we married and he was content with the fact that we may never have children. I guess it was not that difficult for him because he has other children as well”. She added that it was a revival at Wisdom hospital the very day the news of her pregnancy was broken to her. She recalled that she went to the hospital on the Christmas eve, 24th December, because she wasn’t feeling too well. “I was told to do a urine and a blood test but before the blood test could come the lab technician just came out singing, and said it is positive” She stated. Gifty Anti, 47, got married in 2015 to the chief of Akwamu Adumasa, Nana Ansah Kwaw IV, in a colorful wedding which was dubbed ‘the Royal Wedding’. However, the couple has had to wait for two years to welcome their first baby.